Welcome Home to Greer Ranch! In addition to a lavish master suite--with a roomy walk-in closet and attached double-sink bath--this home includes a second master suite with an adjacent living room, perfect for multi-generational living. For a more complete secondary residence, opt for a separate entrance to the living room on the side of the house, in addition to a kitchenette with a sink, refrigerator and cabinets. 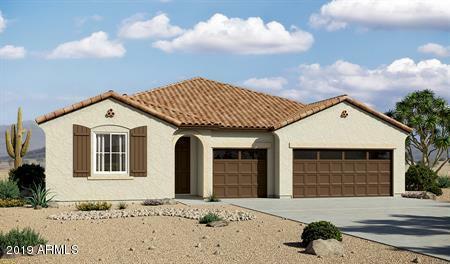 You'll also enjoy a 3-car garage, a study, a great room with an adjacent covered patio--featuring optional center-meet and multi-slide doors--and an inviting kitchen with a generous island, built-in pantry, dining nook and optional gourmet features.